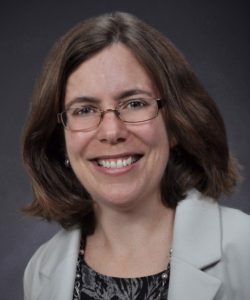 Sarah Jarmain, MD, FRCPC is the Site Chief Mental Health Care, Chair Medical Advisory Committee and Director Medical Quality at St. Joseph’s Health Care London and an Associate Professor in the Department of Psychiatry, Western University. She has worked as a physician administrator since 2001 and has developed models for physician HR planning, workload measurement, and physician engagement and leadership. Sarah has been actively involved in health system transformation and is a strong advocate for the development of a resilient work culture, continuous quality improvement and patient safety, and the effective integration of technology into clinical care.